May - Noticing the World Around Us. The world is being left un-noticed - we rush past the old oak tree, miss the sheep clouds in the sky, don't listen to the wood pigeon singing its song and feel the wind blow against our cheeks. We are too busy thinking about the shopping we need to buy and checking our phone for updates on all the amazing things everyone is doing on social media to notice. I am the worlds champion at this! I need to start cherishing life and taking the time to enjoy the moment! The key to taking notice of the world around us is 'mindfulness'. Mindfulness is often defined as "the state of being attentive to and aware of what is taking place in the present" (Action for Happiness). This is one of my favourites of the 'keys to happier living' & is something I have had to practice and practice. I have always been a a person that is in a rush - I charge around from one thing to the next, my brain is always ten steps ahead of me and everything has to be done today! Even now I am sat in a coffee shop with my flat white and I should feel chilled, but its Sunday and I am thinking about the week ahead. 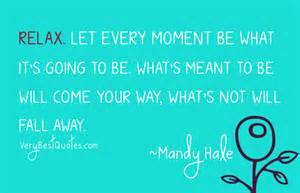 I need for my own sanity and well-being to bring more mindfulness into my life. So, this meet-up was a perfect excuse to put this into practice! 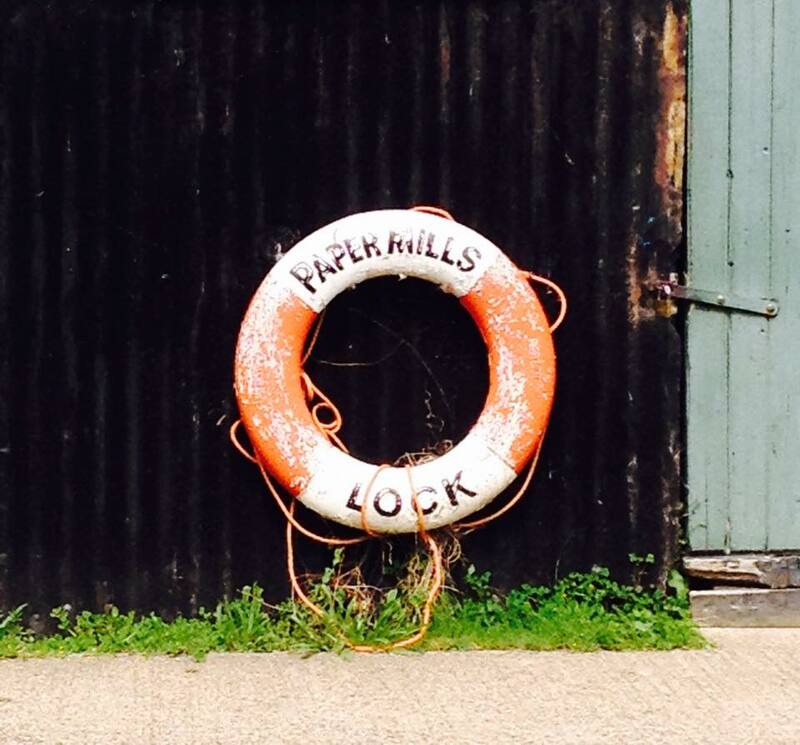 CHP met at Paper Mill Lock which is a place full of childhood memories for me (my Grandad had a boat there), it is very peaceful - you can stroll along the river and immerse yourself in this idyllic setting. We met at the little coffee shop and spent time chatting about our busy lives and how we all need more 'me time'. We then went for a stroll along the river and got a treat when we got a peak inside a house boat - it was lovely! We looked at the questions from Psychologies Magazine & they created a great discussion - and a realisation that we all need to be more mindful. Many of us are parents so we ended up discussing how hard we find it to be in the present moment when with our children (I am on my laptop now and my son Archie is spinning around in circles next me). We found that we tend to constantly be making our children 'hurry up' because we have something else we have to be doing. I always moan about how my two are in 'slow-mo' all the time! I am sure everyone would be a lot happier if they slowed their lives down - walk slower, take 5 more minutes on a task, eat sitting down and think before we speak. One of the members said she went out with her children recently and was for once in no rush to be anywhere else afterwards. She said she really enjoyed herself and did not feel stressed. Another member said she always feels she has to be home by a certain time with her children in order to make the dinner, do home work and make sure she follows the bedtime routine. However, she recently went out with a friend (who is quite laid back) and they stayed out with the children until late; they all had dinner out and had a really nice evening. She realised that she does not always have to work to a set schedule and that if she is enjoying herself then why leave early - life is too short to stop the fun. 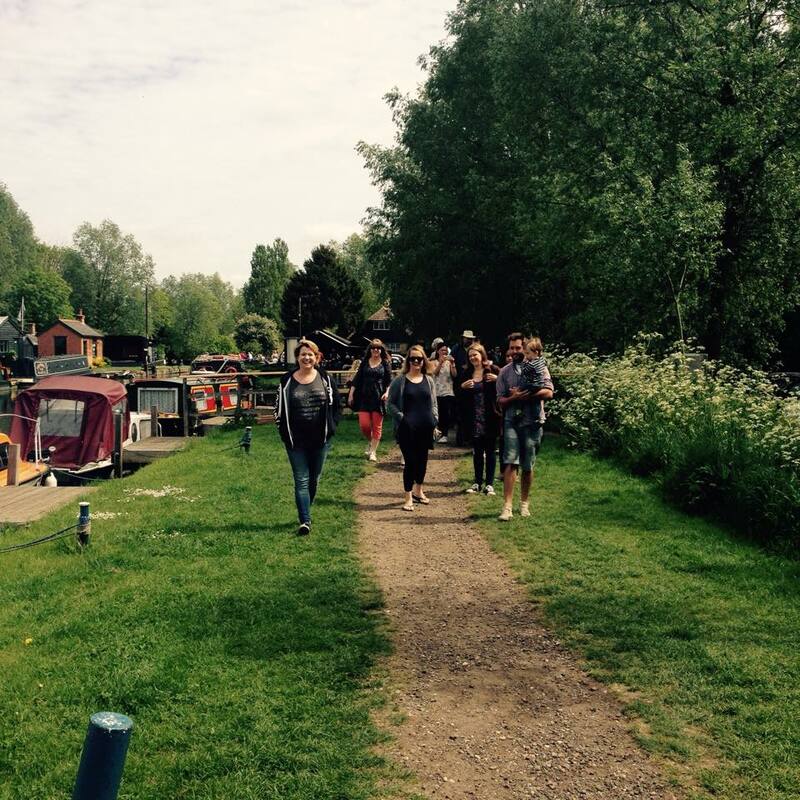 We practiced being mindful on our stroll along the river, we did not manage to be quiet (girls need a chin wag) but we got to be in the present moment and enjoyed the walk on a lovely sunny morning. Ironically a few had to leave early as they had other things to do, but I believe the hour they had out stood them in good stead for their day ahead. 10 minutes of mindfulness a day is enough to reset your thoughts and to train your brain to switch off - I do believe my mind will learn the art of mindfulness soon! 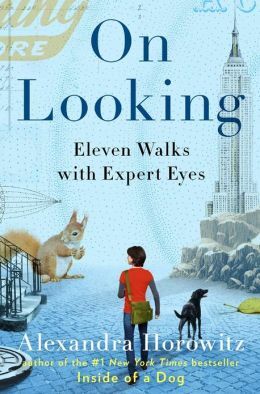 I love looking for a good book to give me inspiration and I found 'On Looking - Eleven Walks with Expert Eyes' by Horowitz. It points our attention to the incompleteness of our experience of what we conveniently call “reality”. "...... the hum of the fluorescent lights, the ambient noise in a large room, the places your chair presses against your legs or back, your tongue touching the roof of your mouth, the tension you are holding in your shoulders or jaw, the map of the cool and warm places on your body, the constant hum of traffic or a distant lawn-mower, the blurred view of your own shoulders and torso in your peripheral vision, a chirp of a bug or whine of a kitchen appliance".